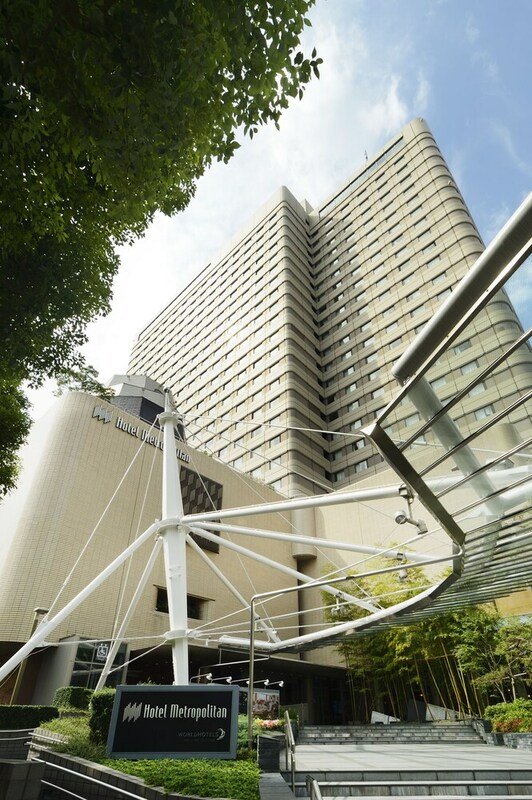 Located in Toshima, this hotel is within 1 mi (2 km) of Nekobukuro and J-World Tokyo. Robot Restaurant and Shinjuku Golden Gai are also within 3 mi (5 km). Shimoochiai station and Tokyo Ikebukuro Station are within a 2-minute walk. This hotel features 6 restaurants, a 24-hour health club and a bar/lounge. WiFi in public areas is free. Additionally, a coffee shop/café, self parking and a meeting room are on-site. All 807 rooms boast deep soaking bathtubs, and offer free wired Internet and fridges. Guests will also find room service (during limited hours), free newspapers and in-room massages. Dining is available at one of the hotel's 6 restaurants, and guests can grab a coffee at the coffee shop/café. A bar/lounge is on site where guests can unwind with a drink. Business-related amenities at this 4-star property consist of a limo/town car service and a meeting room. Public areas are equipped with complimentary wireless Internet access. This business-friendly hotel also offers a 24-hour health club, tour or ticket assistance and multilingual staff. For a surcharge, a round-trip airport shuttle (available at scheduled times) is offered to guests. Parking is available on-site at a surcharge. Hotel Metropolitan Tokyo Ikebukuro has designated areas for smoking. Cross Dine – This restaurant serves breakfast, lunch and dinner. EST – This restaurant serves lunch and dinner. OVEST – This restaurant serves lunch and dinner. Guests can enjoy drinks at the bar. HANAMUSASHI – This restaurant serves lunch and dinner. KEI-LIN – This restaurant serves lunch and dinner. Guests aged under 15 years old are not allowed in the swimming pool or health club. Airport shuttle service is available at scheduled times from 7:30 AM to 9:30 PM. Contact the property in advance to get details. Fees may apply. Contact the property in advance to make arrangements. Additional fees apply to children 4-5 years old for breakfast when sharing existing bedding. For more details, please contact the property using the information on the reservation confirmation received after booking. Guests booked in Breakfast included rates cannot cancel breakfast. No refunds will be issued for any unused portion of the rate plan. For more details, please contact the property using the information on the reservation confirmation received after booking. Please note: There is a surcharge for use of the indoor swimming pool and fitness facility. The fitness facility is closed on the 5th and 20th of every month. This property offers transfers from the airport (surcharges may apply). Guests must contact the property with arrival details before travel, using the contact information on the booking confirmation. A resort fee is included in the total price displayed. The property has connecting/adjoining rooms, which are subject to availability and can be requested by contacting the property using the number on the booking confirmation. The Japanese Ministry of Health, Labour and Welfare requires all international visitors to submit their passport number and nationality when registering at any lodging facility (inns, hotels, motels, etc.). Additionally, accommodation proprietors are required to photocopy passports for all registering guests and keep the photocopy on file.